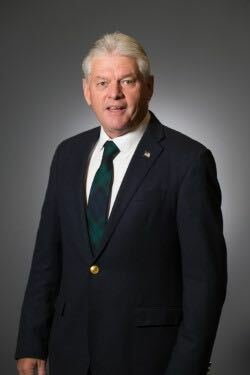 On the heels of repositioning and strengthening its PGA Career Services Department, the PGA of America today announced the naming of PGA Past President Jim Remy, PGA, as the Career Consultant for the Connecticut and New England PGA Sections. The PGA Career Services Department offers a toolbox of invaluable resources to meet the hiring requirements demanded by employers today, while better serving employers, PGA Members and individuals seeking to gain employment within the golf industry. As the PGA is committed to ensuring that PGA Members and golf industry professionals are prepared and equipped to advance their career path to the highest level, Remy will join a team of 19 field consultants across the country to forge stronger relationships with Members and employers. A PGA Member since 1984, Remy was the Vice President and General Manager of the Okemo Golf Division at the Okemo Valley Golf Club in Ludlow, Vermont for over 20 years. He began his career as a PGA Assistant Professional at Worcester (Massachusetts) Country Club, and later served as an Assistant Professional at Mount Pleasant Country Club, in Boylston, Massachusetts. Elected as the 36th PGA President in 2008, Remy holds the distinction of having served in virtually every capacity within the areas of PGA governance, including an unprecedented six-and-a-half-year term on the PGA Board of Control, which reviews and rules on membership issues. PGA Career Services was created to assist golf industry professionals over the entire span of their career. In 2018, the number of PGA Career Consultants expanded from 10 to 19—and their individual territories are now more focused. Adding Remy as a 19th field consultant affords the Career Consultants an opportunity to spend more time in their respective coverage areas, through the overall smaller geographic territories that each Consultant manages. These changes were inspired by the PGA’s Long-Term Strategic Plan and the importance the Association is placing on increasing resources at the Section level. PGA Career Services include career consulting, resume review, job placement outreach and more. Leading the Career Services Department is Scott Kmiec, Senior Director of Career Services for the PGA of America; Don Sweeting, PGA, Director of the East Region; and Tim Marks, PGA, Director of the West Region.